Over the past few years, more people have turned to online shopping instead of brick-and-mortar stores because of convenience. In 2017, eCommerce businesses accounted for 9.1 percent of US retail sales during the fourth quarter, higher than the 8.2 percent share of the previous year. Amidst online sales growth and positive prospects of eCommerce, nearly half of the industry’s revenue comes from Amazon. This prompted other online retailers to tap into artificial intelligence, or AI, in gaining an edge over the eCommerce giant through personalized shopping experience. In utilizing AI for their businesses, retailers gain critical analytical data on consumers, allowing them to improve customer experience. From effective marketing strategies to efficient sales process, here’s a look at how using AI will benefit online retailers. Most sales online begin with a search, and if the results displayed are not relevant, this can prompt customers to look somewhere else. Keyword-based search is the usual method for websites to return a list of items based on entered words and description. However, this might not be the most accurate way to generate relevant results. To address this, a visual search engine powered by AI allows customers to send an image instead and discover similar products on your website. High-end retailer Neiman Marcus first announced said feature on its mobile app in 2015, recognizing the customer’s need to find related results based on photos. Feedback, whether posted on social media or review sites, allows businesses to quickly gain valuable insights about their products. Although 40 percent of sales and marketing leaders acknowledge that word of mouth is crucial to a brand’s success on social media, less than half of these companies use this information for their customer analytics. By using AI and natural language processing (NLP), retailers can sift through every online feedback, be it positive, negative, or neutral, to learn more about customer expectations and respond accordingly. AI-powered recommendation engines filter relevant information from numerous data about a buyer’s interest, preference, and behaviors on the site. Based on timely insights gathered, an online merchant suggests items uniquely patterned after your recent activity and past purchases on the site. This shopping experience mimicking the personal feel of brick-and-mortar stores translates to customer satisfaction and spending. In fact, retailers with personalized strategies have observed sales growth of 6-10 percent, two to three times faster than others that don’t, according to Boston Consulting Group study. Chatbots and virtual shopping assistants, powered by AI, provide direct and quick customer engagement. For eCommerce businesses, chatbots can be used to automate customer service messages, send order-related information, resolve issues, and interact with clients in real-time. By using NLP to understand meaning and context of your customers’ messages, these virtual assistants can take on your brand’s personality and voice in creating human-like interaction. In a survey done by Oracle on 800 sales and marketing leaders, about 80% want to use chatbots in their businesses by 2020 as a way to automate some processes and improve customer experience. Prior to social media, sales strategies include cold-calling and ad placements in the hopes of targeting the right market. 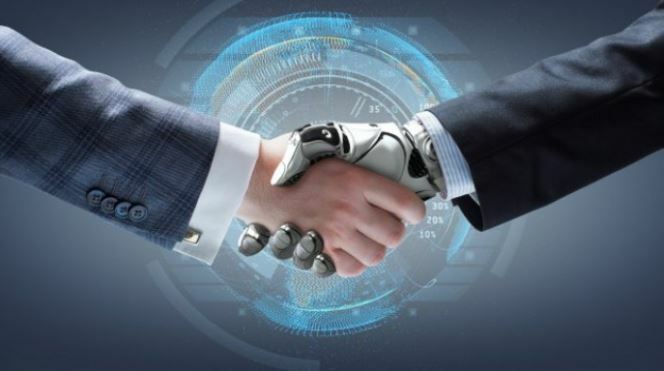 These days, AI is used to gather patterns and numbers to help businesses convert queries to actual sales through data-driven feedback. Nowadays, people turn to social media platforms like Facebook and Instagram for shopping inspiration—a trove of data for AI companies like Yotpo to utilize in developing digital marketing tools. With proper use of user-generated content, customers discover products in a subtler, more natural way. “Artificial intelligence programs can scan through millions of events to find patterns and correlations that we just would not notice on a day to day basis. So it might notice a correlation between sending a specific pitch deck to prospective clients before calling them results in better conversions,” Uzi Shmilovici, chief executive officer of Base CRM, explained. Digitally native retailers have recognized the importance of creating personalized shopping experience through the use of AI as a way to give them an edge over others offering the same products. By leveraging AI-driven innovations, smaller eCommerce businesses, as well as bigger retailers like Amazon, get the leg up in attracting and retaining their customers.